Fall in the North Woods is just about over. 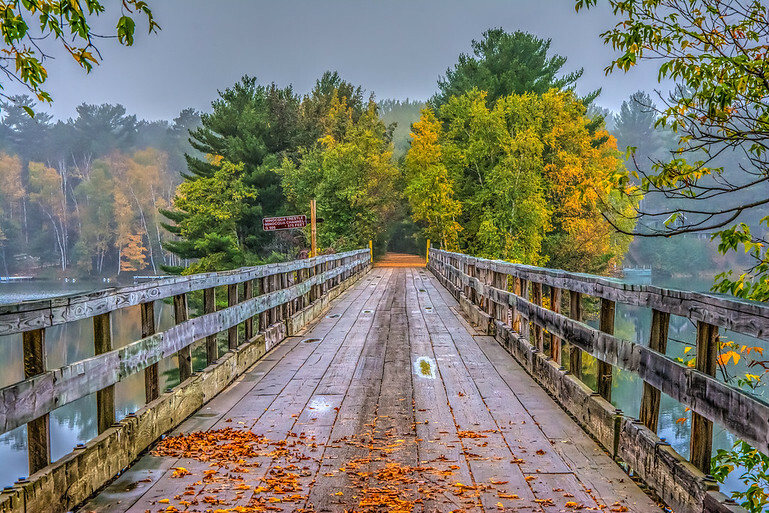 This old rail road trestle, now bike trail in North Central Wisconsin shows the changing colors on Lake Minocqua. As fall ends here these great colors will descend on the rest of our country. This is a great time for photographers, be sure to get out and enjoy the season!